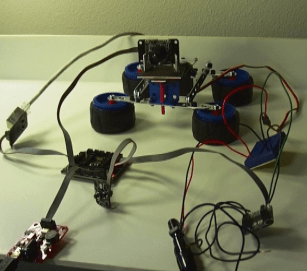 What Can You Do with .NET Gadgeteer? A better question might be…what CAN’T you do? In today’s post, I want to show some examples of the cool stuff folks are doing with .NET Gadgeteer. One great place to find out about projects is the .NET Gadgeteer Showcase. There are currently 20 projects in the showcase, which run from simple demos to tutorials. The cool thing about Gadgeteer is the speed with which you can come up with and execute on your ideas. 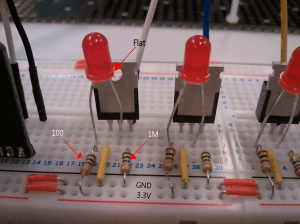 With the right modules in hand (or a breadboard), you can build something fun or practical, prove out the concept, and then pull it all apart again and build something else. The current project I’ve been working on is controlling a Syma S107 infrared remote control helicopter using my Gadgeteer board. I started on this several months ago, with a very simple setup that could record a stream of IR commands and replay them. So I could basically get the copter to launch and land (or perhaps crash), but not much more. You can see an example in Part 6 of the video series of myself and Pete Brown talking Gadgeteer at CMAP Code Camp. 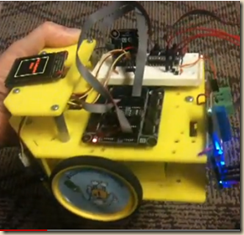 Syma S107 Remote Control with .NET Gadgeteer from G. Andrew Duthie on Vimeo. There are more videos on my Devhammer Demos channel on Vimeo. Hopefully, some of the projects you’ve seen here give you an idea of the broad flexibility of the .NET Gadgeteer platform. As I said earlier, I’ll be sharing more details on my helicopter project in future posts, so stop by again soon! I haven’t heard about Gadgeteer before, but now I am a convert. Sort of. Glad you enjoyed it…lots more to come, so stop back and visit again! Glad you like it…Gadgeteer is indeed awesome. Just about anyone can build cool stuff with it.